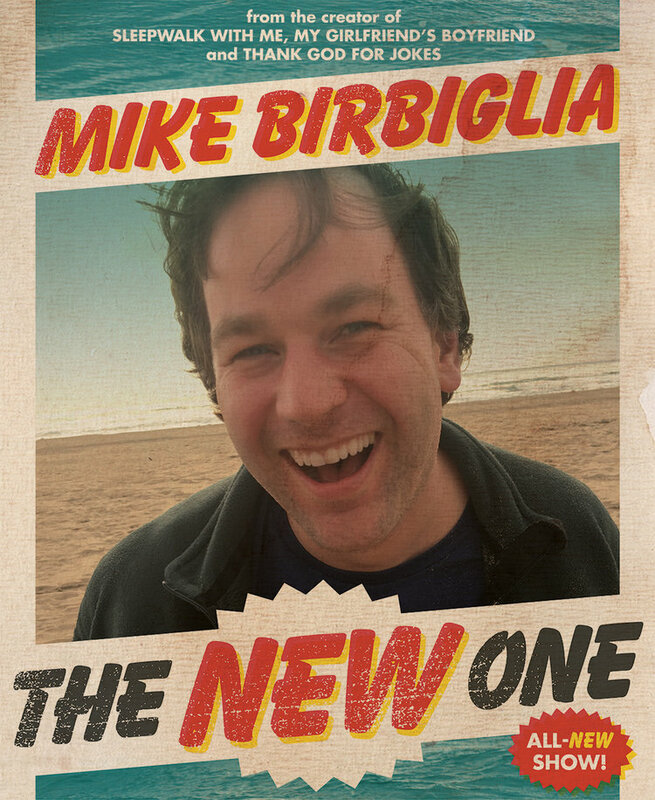 Multi award-winning American comedian Mike Birbiglia returns to London for four nights only at The Leicester Square Theatre on 8 June 2018, with his brand-new show ‘The New One’. Tickets go on sale at 9am on 15th March. Neil Genzlinger of The New York Times called Mike Birbiglia’s recent show Thank God For Jokes “the best night I’ve spent in a theatre in a very long time”. In ‘The New One’ the award-winning comedian approaches an entirely new subject in a new way with the same heart and humour we’ve come to expect. This show looks at when it’s the right time to settle down and have children, how to deal with the drama of sleep-walking and tales of what happened when he checked out Amsterdam’s red light district. Do not miss the new one. It may be the best one. Thank God for Jokes experienced widespread success in the US, completing a huge 100-city tour, and Birbiglia then took the show off-Broadway to The Lynn Redgrave Theater. Mike Birbiglia first burst onto the scene in 2012 with his Sundance award-winningdirectorial debut Sleepwalk With Me. In recent years his work started appearing on public radio’s This American Life, where he began a meaningful collaboration with host and producer Ira Glass. Mike Birbiglia is a comedian and storyteller who is known for his highly personal approach to comedy and has performed in front of audiences worldwide, from the Sydney Opera House to Carnegie Hall. His most recent shows, My Girlfriend’s Boyfriend and Thank God for Jokes, were both filmed for Netflix. Mike has released four albums for Comedy Central Records, including My Secret Public Journal Live, which was named one of the “Best Comedy Albums of the Decade” by The Onion AV Club. In addition to performing live, Birbiglia is an author and filmmaker who wrote, directed and starred in the acclaimed films Sleepwalk with Me and Don’t Think Twice. His book, Sleepwalk With Me and Other Painfully True Stories, was a New York Times bestseller and a finalist for the Thurber Prize For American Humour. As an actor, Birbiglia has appeared on Netflix’s Orange is the New Black, Inside Amy Schumer, and HBO’s Girls as well as in the films Trainwreck, The Fault in Our Stars and Universal’s Popstar: Never Stop Stopping. Birbiglia currently lives in Brooklyn with his wife Jen.